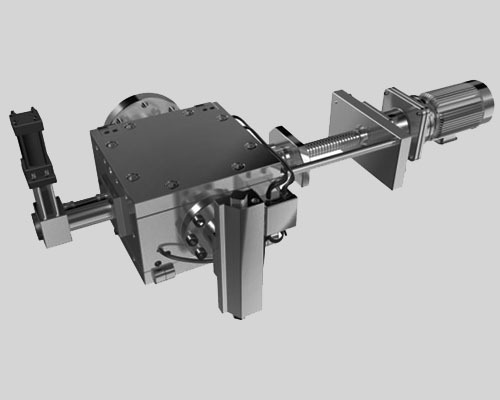 The hydrarlic screen pack changer is fitted between the end flange of the extruder and the die. A cassette holding a reel of screen filter media is attached to the side of the AutoScreen block. 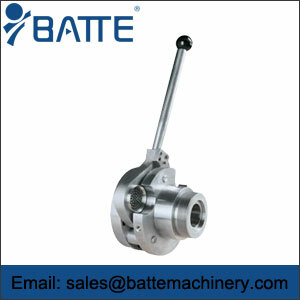 The screen change is regulated by a pre-set timer or optional controller based on pressure differential, using two Dynicso pressure transducers. 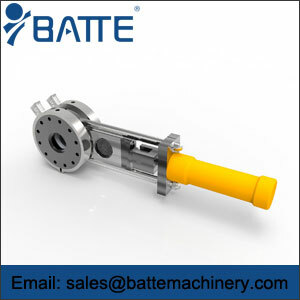 The hydrarlic screen pack changer moves across the flow of plastic and a fresh screen enters as the spent filter screen exits; removing the impurities from the extrudate. The stainless steel filter hydrarlic screen pack changer is in roll form and is easy to replace. The life of the 66-foot or 125-foot screen roll can exceed a year when the level of contamination is low. The amount and size of containment in the melt determines the screen advance frequency. 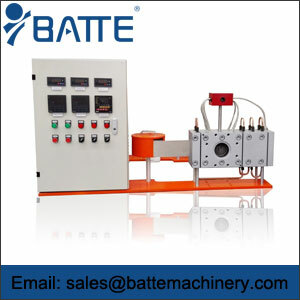 For fast color or material change, a manual override button is provided. 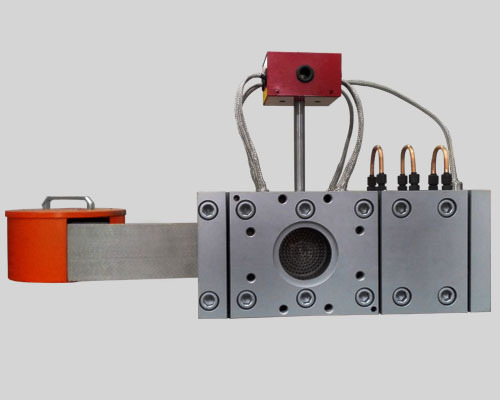 Constant pressure "drop" allows for uninterrupted extrusion and steady process conditions. The one-piece precision-machined body is completely leak proof with no bolts to tighten. 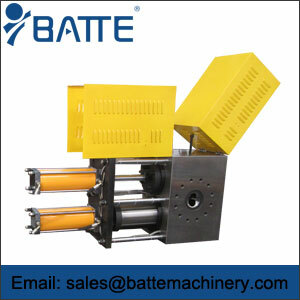 Batte Machinery Zhengzhou Co.,Ltd is a screen change manufacturer,supply the most professional products of Manual screen changers,hydraulic screen changer,automatic screen changer in the world.